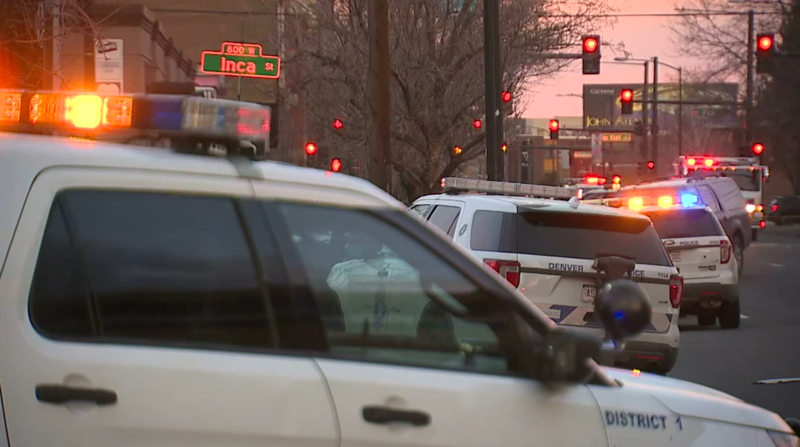 The man accused of shooting two Denver police officers Sunday before an hours-long standoff near 6th Ave. and Inca Street died Monday morning at a Denver hospital, police said, and the two officers who were shot continue to improve. 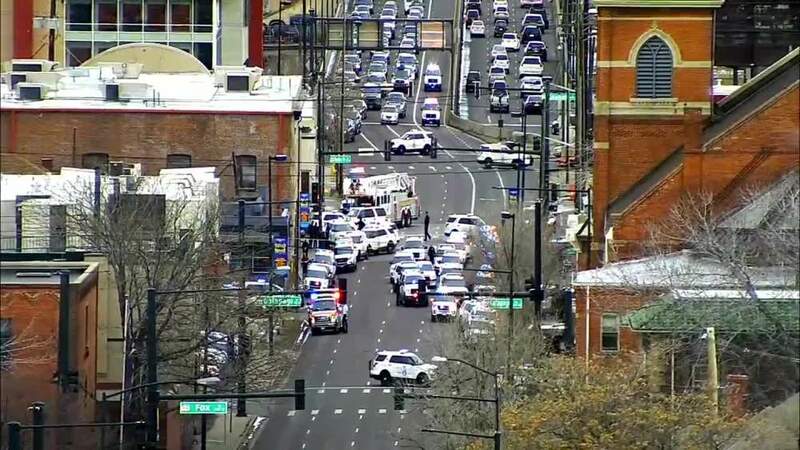 DENVER – The man accused of shooting two Denver police officers Sunday before an hours-long standoff near 6th Ave. and Inca Street died Monday morning at a Denver hospital, police said, and the two officers who were shot continue to improve. The Denver Police Department said in a news release Monday afternoon that the suspect, who has still not been identified, died at a hospital but did not release the man’s cause or manner of death. DPD said that information would be release by the Denver Office of the Medical Examiner. DPD said that the two officers, who have not been formally identified, remained in the hospital Monday afternoon and were listed in fair condition. An officer involved in a crash while responding to the scene was treated and released, DPD Said. Police said that the incident was still under investigation and that interviews were still being conducted – likely into next week. Further details of the incident were not available Monday because the suspect’s arrest warrant is sealed. The shooting happened just after 2 p.m. Sunday. Two officers were shot – one in the abdomen and the other in the leg, sources told Contact7 Investigates. The officers had originally responded to a shots-fired call in the area, and the suspect barricaded himself inside a home after the shooting. As police worked through the afternoon to force him out , flames and smoke could been seen coming out of the home where the suspect was believed to be barricaded. It took about 20 minutes for authorities to apprehend the man and load him into ambulance. This is the 12th officer-involved shooting in Colorado in 2019. The last officer-involved shooting involving the Denver Police Department happened in October of last year. Sixth Ave. reopened Monday morning after being closed for several hours.